The highly anticipated first official trailer for Avengers: Infinity War has been dropped by Marvel Studios a few minutes ago. Clocking at roughly two minutes and a half, it gives us a good look at most of the heroes due to be featured in the movie as well as the long-teased archvillain of the Marvel Cinematic Universe, Thanos the Mad Titan, voiced by Josh Brolin. 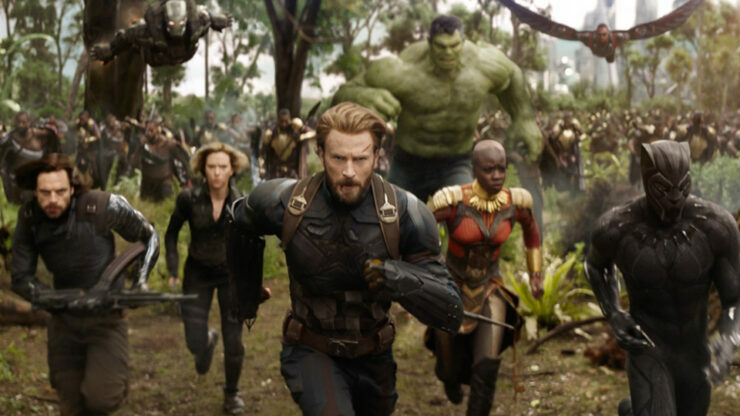 The movie, due to hit the United States on May 4th, 2018, will depict the Avengers in their hardest challenge yet as they face an enemy of overwhelming power. Due to the multitude of the characters involved, the story will end in the follow-up film due to release in theaters on May 3rd, 2019. In related news, gamers may also rejoice as Square Enix is getting ready to show the Avengers project in development at Crystal Dynamics and Eidos Montreal. It’s a great time to be a Marvel fan, that’s for sure. The Avengers: Infinity War trailer packs as many super heroes as it can in a mere 2 minutes and 30 seconds: Iron Man (Robert Downey Jr.), Captain America (Chris Evans), Scarlett Johansson (Black Widow), Hulk (Mark Ruffalo), Falcon (Anthony Mackie), Thor (Chris Hemsworth), the Vision (Paul Bettany), Hawkeye (Jeremy Renner), Black Panther (Chadwick Boseman), Scarlet Witch (Elizabeth Olsen), Spider-Man (Tom Holland), Doctor Strange (Benedict Cumberbatch), Loki (Tom Hiddleston), Star-Lord (Chris Pratt), and so much more.